Our 2" thick White Oak stair treads are Made in the USA from genuine American White Oak hardwood. These treads measure a full 2 inches thick. These floating treads are constructed from solid wood pieces that are professionally kiln dried, plained and edge-glued. 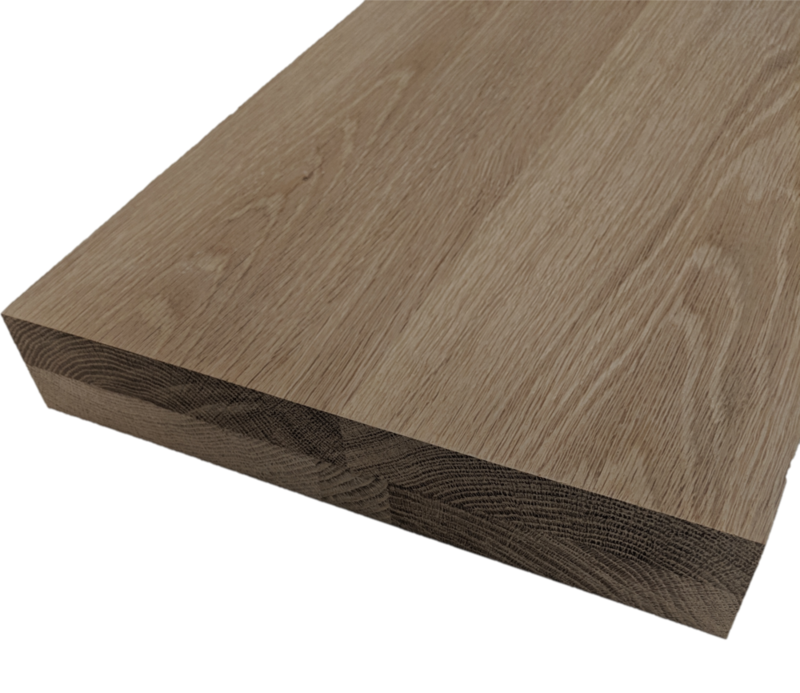 The thickness of 2 inches is achieved by laminating two pieces of solid hardwood. All 6 sides are finish grade so they are beautiful no matter what surface shows after installation. No veneers are used in these treads. Great for floating stair treads in either modern or classic stair case designs. Each tread is 11 1/2" depth and lengths available include 36", 42", 48", 54", 60", 72", 84", 96" and custom depths and lengths of all dimensions.